Here’s the podcast of the book review on Winner Take All by Dambisa Moyo. 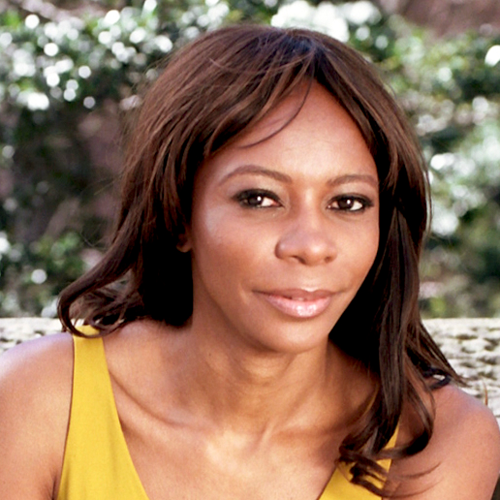 Here is a link to photos of Dambisa Moyo. I am uncomfortable posting about Moyo’s attractiveness. That’s not what this site is about and I don’t want to fall into the “entertainment bias” I write about here and I mention in the podcast. But I wanted you to see who the author was since you may have seen her appearances on TV but never knew her books. This is a right-wing blogger’s take on Moyo on Real Time with Bill Maher. Again, you can decide. Here’s the script if you want to read rather than listen. THIS IS ONE OF THOSE BOOKS – I THINK – WE WILL RE-READ OR LOOK BACK TO – IN 10 YEARS – AND SAY WHY DIDN’T WE PAY ATTENTION. 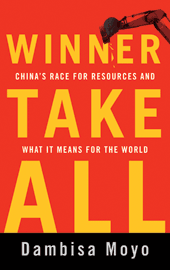 THE BOOK IS CALLED — WINNER TAKE ALL : CHINA’S RACE FOR RESOURCES AND WHAT IT MEANS FOR THE WORLD. IT’S WRITTEN BY DAMBISA MOYO — AN AFRICAN ECONOMIST. SHE IS A BIT CONTROVERSIAL. HER PREVIOUS BOOK WAS TITLED – DEAD AID – WHY AID IS NOT WORKING AND HOW THERE IS A BETTER WAY FOR AFRICA. SOME HAVE DESCRIBED HER AS THE ANTI-BONO SINCE SHE OPPOSES DIRECT AID TO AFRICA – WHICH SHE SAYS HAS LED TO MORE DICTATORS THAN ANYTHING ELSE. OTHERS THINK SHE IS TOO CONSERVATIVE. IF YOU WATCH REAL TIME WITH BILL MAHER – SHE WAS A GUEST AND SOME WOULD SAY SHE PUT BILL IN HIS PLACE ABOUT ECONOMICS. YOU CAN DECIDE FOR YOURSELF – IF THERE IS BIAS THERE. FRANKLY, YOUR EFFORTS TO PIN A LABEL ON HER OR BILL MAHER IS NOT WORTH YOUR TIME. THERE IS SOME OTHER MEDIA BIAS INVOLVED WITH MOYO. IT’S WHAT I DESCRIBE AS THE ENTERTAINMENT BIAS OF THE MEDIA. MOYO RECEIVES A LOT OF MEDIA ATTENTION BECAUSE SHE IS AN AFRICAN WOMAN WHO IS VERY ATTRACTIVE. WHAT’S APPEALING ABOUT HER – IS THAT NONE OF THAT MEDIA SILLINESS IS INJECTED INTO THIS BOOK. I WOULD SUGGEST JUDGING HER ON HER WORK – AND HER EXPERIENCE GROWING UP IN AFRICA – AND KNOWING THAT CONTINENT – WHICH IS GOING TO PLAY A MAJOR ROLE IN THE 21ST CENTURY – A ROLE MOST AMERICANS ARE UNAWARE OF. MOYO LAYS OUT A FRIGHTENING SCENARIO FOR THE FUTURE OF THE WORLD – IF WE DO NOTHING. CHINA, IN SHORT, IS BUYING UP – AND CONTROLLING — AS MUCH OF THE WORLD’S COMMODITIES AND NATURAL RESOURCES AS IS POSSIBLE. FIRST, WE’RE NOT CERTAIN IF CHINA IS DOING THIS STRICTLY FOR MILITARY REASONS OR TO MAINTAIN DOMESTIC PEACE INSIDE THEIR BORDER. PERSONALLY, I THINK IT’S MORE THE LATTER. WE SHOULDN’T IGNORE CHINA’S MILITARY MIGHT, BUT WE SHOULD REALIZE THEY HAVE A LOT OF DOMESTIC ISSUES TO ATTEND TO AS WELL. SECOND, AS THE WORLD GROWS, AND RESOURCES BECOME MORE FINITE, THERE WILL BE MORE SUFFERING FROM LACK OF WATER AND FOOD – AND MORE WARS. MOYO WARNS US OF THE BATTLES OVER NATURAL RESOURCES. THIRD, THE ONLY WAY TO SOLVE ALL THIS – TO AVOID MAJOR CONFLICTS, IS TO BRING TOGETHER THE WORLD’S LEADERS AND COUNTRIES. SOUNDS IDEALISTIC? OH YES. AND WHAT WILL MAKE IT EVEN MORE IMPOSSIBLE – ARE THE CONSPIRACY THEORISTS WHO FEAR THE ONE WORLD ORDER – OR A WORLD GOVERNMENT. FOURTH, COULD THIS BE ANOTHER SCARE TACTIC THAT ENVIRONMENTALISTS GAVE US IN THE 1960S AND 1970S? I DON’T THINK SO. I STILL AGREE WITH THOSE ASSESSMENTS FROM THE ENVIRONMENTALISTS DECADES AGO. THE THING THEY GOT WRONG – OR COULDN’T FORESEE — WAS TECHNOLOGY’S ABILITY TO FIND AND DELIVER THESE RESOURCES. WE NOW SEEM TO SEE A FUTURE BREAKING POINT — IN HAVING ALL THOSE RESOURES – WHILE AT THE SAME TIME – THE WORLD IS BECOMING MORE MIDDLE CLASS, MORE INDUSTRIAL, AND MORE RELIANT ON THE RESOURCES THAT MAKE THAT LIFESTYLE. THIS MAY SOUND FLIPPANT. IT’S NOT MEANT TO BE. BUT I WOULD SAY EVERYONE SHOULD READ THIS – ANYONE WHO PLANS TO SPEND TIME ON EARTH OVER THE NEXT TWO DECADES. YOUNG TO MIDDLE AGE INVESTORS NEED TO PAY ATTENTION CLOSELY TO THIS BOOK, AS WELL. I JUST FINISHED AN HOUR-LONG PRESENTATION THAT INCLUDED THE DOCUMENTARY “GENERATION ZERO”. I INTERVIEWED STEVE BANNON, THE FILM’S PRODUCER, AND SEAN HYMAN, A FINANCIAL ADVISOR. THE VIDEO WILL CENTER ON OUR NATION’S SOARING DEBT CRISIS – AND HOW TO SURVIVE IT. BUT ONE OF THE MAIN POINTS RAISED BY SEAN WAS THE SAME MESSAGE BROUGHT ACROSS IN WINNER TAKE ALL. AND THIS IS – THE WORLD’S COMMODITIES AND RESOURCES WILL BE GREAT INVESTMENT OPPORTUNITIES FOR FUTURE RETIREES. THIS BOOK APPEARS TO BE EXHUASTIVELY RESEARCHED – AND CREDIBLE. LIKE MOST BOOKS THAT I REVIEW HERE, THIS ONE IS – MORE THAN — WORTH THE READ. AGAIN, IT IS WINNER TAKE ALL – BY DAMBISA MOYO.